A colourful selection of new items this month, featuring architectural reinvention and repurposing, and design books on colour palettes, animation, hand-lettering, and more. The terrace house / edited by Cameron Bruhn & Katelin Butler. High Line : the inside story of New York City’s park in the sky / Joshua David and Robert Hammond. New eco homes / Manel Gutiérrez. 202 outstanding modern interior designs / Marta Serrats. Hand-lettering for everyone : a creative workbook / Cristina Vanko. Every thing we touch : a 24-hour inventory of our lives / Paula Zuccotti. Artist’s & graphic designer’s market 2016 / Mary Burzlaff Bostic, editor. The nine old men : lessons, techniques, and inspiration from Disney’s great animators / Andreas Deja. Movie posters re-imagined : alternative designs for the world’s favorite cult films / introduction, David Thomas. This month’s selections include well-known design icons, and inspiration for building your own small home. Plus, there’s a great book of infographics about architecture. Enjoy! Bond by design / The Art of the James Bond Films written by Meg Simmonds. Kitchen Kulture / edited by Michelle Galindo, Sven Ehmann, and Robert Klanten. Archi-graphic : an infographic look at architecture / Frank Jacobus. Worship : a history of New Zealand church design / text, Bill McKay ; photography, Jane Ussher. Cathedrals and churches of Europe / edited by Rolf Toman ; photography by Achim Bednorz ; text by Barbara Borngässer ; produced by Thomas Paffen. The new small house / Katie Hutchison. Rebuilt : inspiring recovery stories from quake-damaged Canterbury homes / text by Lucinda Diack ; photography by Juliet Nicholas. This month features books on using design to sell, explain and inspire, the history of spots and stripes, and inspirational interiors of UK ex-council homes, plus more unique topics. Mural XXL / Claudia Walde. Patternalia : an unconventional history of polka dots, stripes, plaid, camouflage, & other graphic patterns / Jude Stewart. Tile makes the room : good design from Heath Ceramics / Catherine Bailey & Robin Petravic. New Nordic design / Dorothea Gundtoft. Waterside modern / Dominic Bradbury ; photographs by Richard Powers. New York in fifty design icons / Julie Iovine. Shelter : how Australians live / photographs & words by Kara Rosenlund. Building art : the life and work of Frank Gehry / Paul Goldberger. Style council : inspirational interiors in ex-council homes / Sarah Thompson ; foreword by Wayne Hemingway, MBE. This month we have a great selection of both physical books and eBooks on offer on the subjects of design and architecture. Covering topics from pattern and typography to small house living and stylish cabin getaways, there’s something for all kinds of interests here! Patternity : a new way of seeing : the inspirational power of pattern / Anna Murray & Grace Winteringham ; contributing editor, Dal Chodha. Graphique de la rue : the signs of Paris / Louise Fili. Historic churches : a guide to over 60 early New Zealand churches / Linda Burgess ; photography, Robert Burgess. Rooted : creating a sense of place : contemporary studio furniture / The Furniture Society ; Steffanie Dotson & Douglas Congdon-Martin, editors. Guerilla furniture design : how to build lean, modern furniture with salvaged materials / Will Holman ; photography by Kip Dawkins. 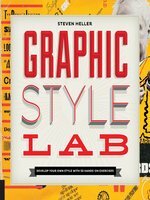 This month’s picks feature a variety of graphic design best-of compilations, plus Drawing Type, a great guide to getting started with drawing your own lettering. On the architecture side, Open Source Architecture reconsiders architecture as a collaborative process. 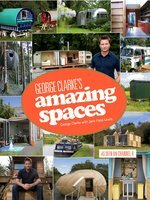 We also explore alternative architecture, from opera houses to the Parthenon, and there’s even a resource on houseboats! Collector’s edition : innovative packaging and graphics / Stuart Tolley ; photography by Ivan Jones. Logo design / ed. Julius Widedmann. Drawing type : an introduction to illustrating letterforms / Alex Fowkes. The pattern base : over 550 contemporary textile and surface designs / Kristi O’ Meara ; edited by Audrey Victoria Keiffer. My cool houseboat : an inspirational guide to stylish houseboats / Jane Field-Lewis ; photography by Richard Maxted. Open source architecture / Carlo Rotti with Matthew Claudel. David Leventi : opera / foreword by Plácido Domingo ; texts by Marvin Heiferman and Thomas Mellins. The Parthenon enigma / Joan Breton Connelly. The new Sri Lankan house / Robert Powell ; photography by Sebastian Posingis ; essays by David Robson. Some exciting new design picks this month, with some great new volumes on improving your design craft. This month’s design picks focus on developing your skills, as well as taking new skills into consideration, such as incorporation of humour and green design. On the architecture side there are interviews with some of the greatest living artists, as well as visual explorations of the work of successful interior designers. Enjoy! This is not a photo opportunity : the street art of Banksy / Martin Bull. Lives of the artists, lives of the architects / Hans-Ulrich Obrist. 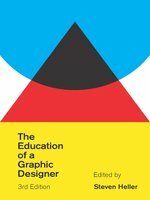 The graphic design exercise book : creative briefs to enhance your skills and develop your portfolio / Jessica Glaser. The big book of green design / introduction by Eric Benson ; edited by Suzanna M.W. Stephens, Anthony B. Stephens. Interior spaces / by PH Collection. Design funny : a graphic designer’s guide to humor / written and illustrated by Heather Bradley. Dreamhouse / Penny Drue Baird. Animation sketchbooks / Laura Heit. The best American infographics 2014 / with an introduction by Nate Silver ; Gareth Cook, series editor. This month’s picks feature pattern, colour and detail, starting with two books on geometry and pattern with content derived from the Print & Pattern blog. We also take a glimpse into the details that make Swedish homes and interiors so unique, as well as taking a trip down the long driveways of modernist Kiwi homes. Enjoy! Print & pattern : geometric / Bowie Style. Print & pattern kids / Bowie Style. Swedish details / Annika Huett och Ulf Huett Nilsson. Ladybird by design / Lawrence Zeegen. Web development and design foundations with HTML5 / Terry Ann Felke-Morris. The Hermitage XXI : the new art museum in the general staff building / Oleg Yawein ; [et al.]. Down the long driveway, you’ll see it / Mary Gaudin, Matthew Arnold. 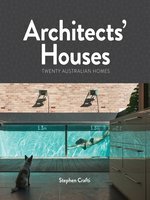 This month’s selection has a focus on architecture, with loads of new and inspiring books hitting our shelves. Content varies from sustainable housing to an historical perspective of architecture as a part of human civilisation. There is also an interesting book on furniture which takes on architectural aspects. Finally, we also feature a “for dummies” book on Android app development. We hope you find something new to enjoy this month! Palm Springs modern : houses in the California desert / by Adèle Cygelman ; foreword by Joseph Rosa ; photographs by David Glomb. Architecture : a historical perspective / Pavlos Lefas. ICONZ : an iconic look at New Zealand identity / created by Belinda Ellis. The art of creative thinking / Rod Judkins. Android application development for dummies / by Michael Burton.